Chilmark has reapplied for a state grant to restore Squibnocket Beach after learning the original award was in jeopardy. Chilmark has reapplied for a major state grant to restore Squibnocket Beach after learning recently that the original award was in jeopardy. 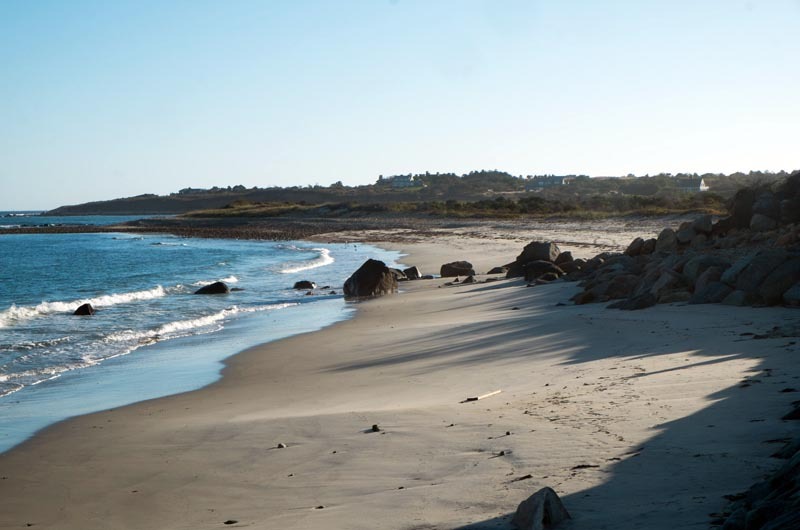 In a letter to a town committee studying alternatives for restoring the beach, Chilmark executive secretary Timothy Carroll said he had been asked by the state Coastal Zone Management office to resubmit the entire proposal with construction budgets for fiscal years 2015 and 2016. The proposal was sent last week via Federal Express to meet an Oct. 10 deadline. The $280,000 grant was awarded to the town last spring as part of a new program launched by Gov. Deval Patrick to fund green coastal improvement projects in the aftermath of Hurricane Sandy. A flurry of activity began last week when the town learned it might no longer qualify for the grant, because the coastal improvement project it was tied to remains in a state of limbo. Various alternatives remain under study by the town committee that has been meeting all summer. But the grant money must be spent by the end of June 2015, and it was unclear whether the town can meet that deadline. So after consulting with CZM officials, town leaders decided to reapply for the grant in hopes of securing the funds. Mr. Carroll worked with conservation agent Chuck Hodgkinson, who had submitted the original proposal, and with Squibnocket committee chairman James Malkin to meet the Oct. 10 deadline. The proposal was amended to include $20,000 for hiring an expert to conduct cost estimates for the alternative plans. The Chilmark selectmen last week approved a request by the committee for that amount to fund cost estimates. On Tuesday, Mr. Malkin provided an update on the grant situation, saying that CZM officials have asked to be kept informed of developments at the local level.